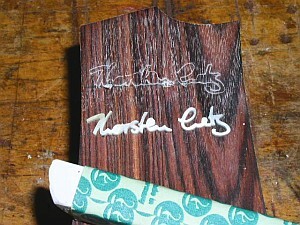 The chalk will leave its mark at each point of contact. 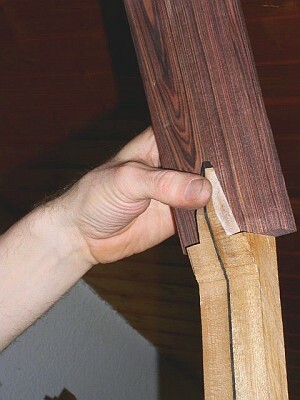 The whole contact area of each brace should come off the top white. 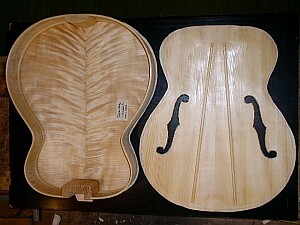 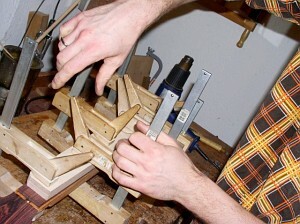 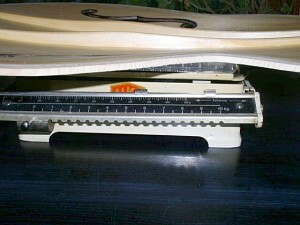 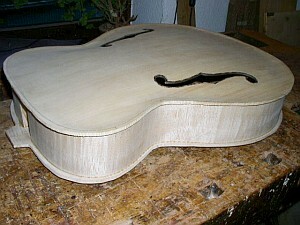 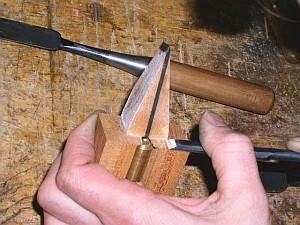 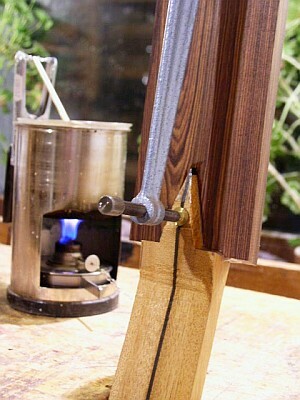 The finished top weighs 12.6 ounces. 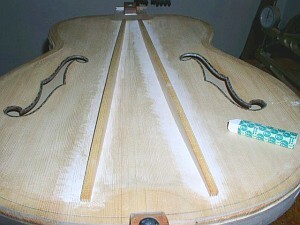 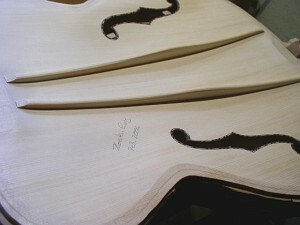 Top, back and sides receive a coat of natural resins dissolved in spirit. 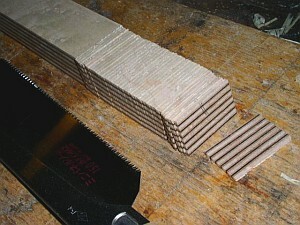 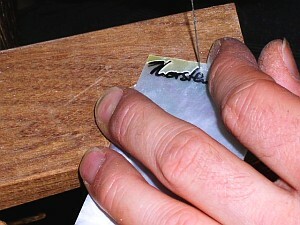 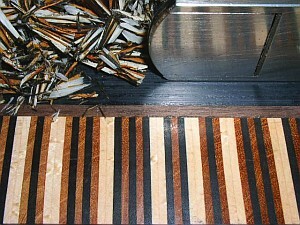 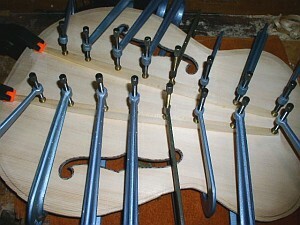 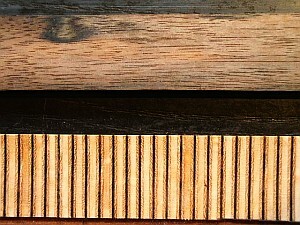 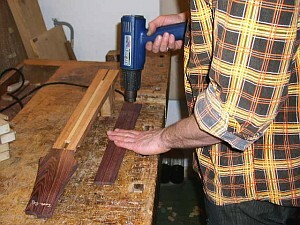 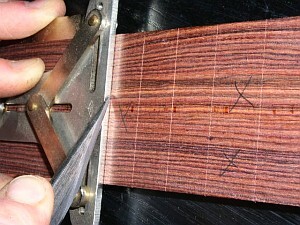 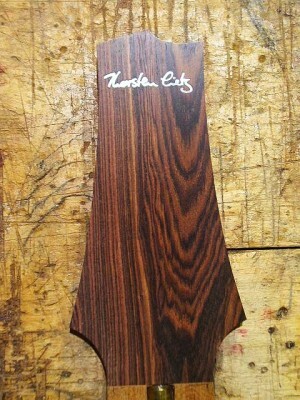 The glued strips are laminated with asian ebony. 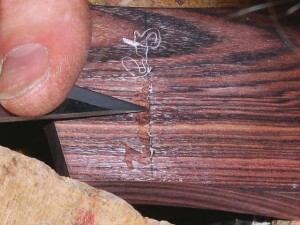 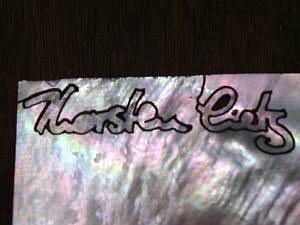 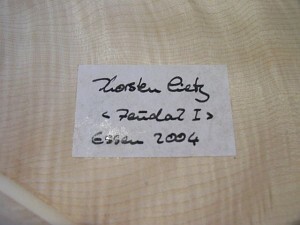 The scribed outline of the inlay is filled with chalk.